The Zero Tolerance 0566 by knifemaker Rick Hinderer is an outstanding example of a quality compact everyday carry knife that is expected of ZT Knives. 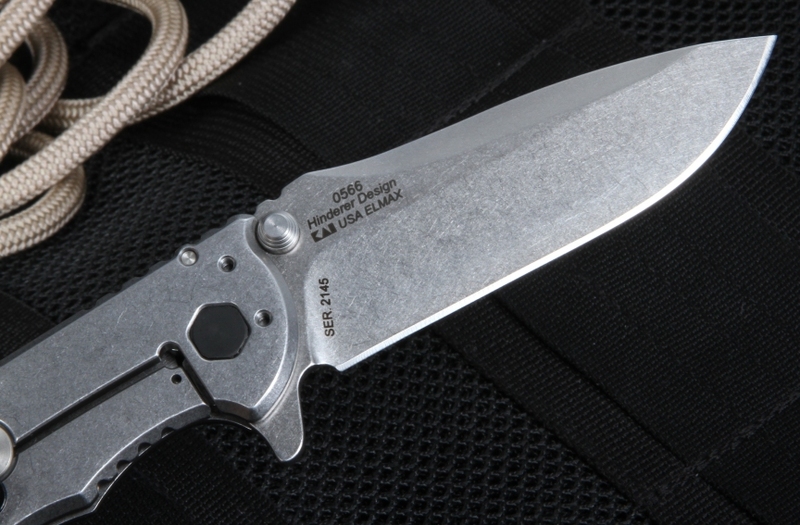 The 0566 model is a smaller version of the larger 0560 models and also has assisted opening. 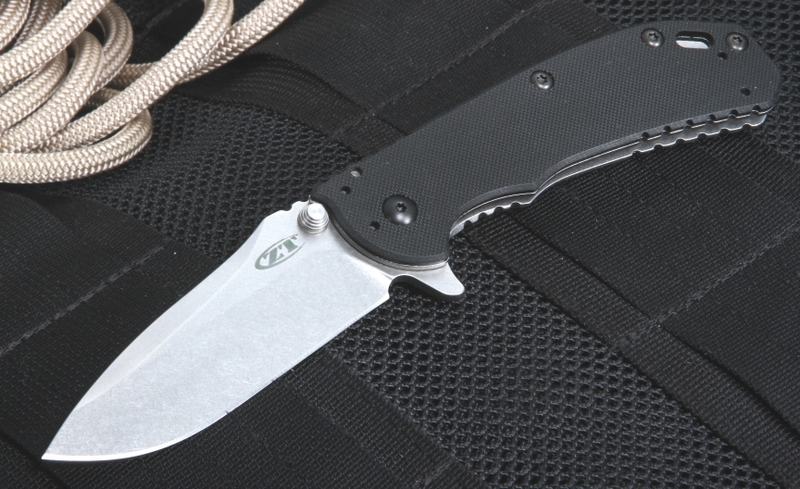 Rick Hinderer and Zero Tolerance regularly team up to create high-quality, affordable hard-use knives, and the American-made ZT 0566 folder is the latest product to fit the bill. 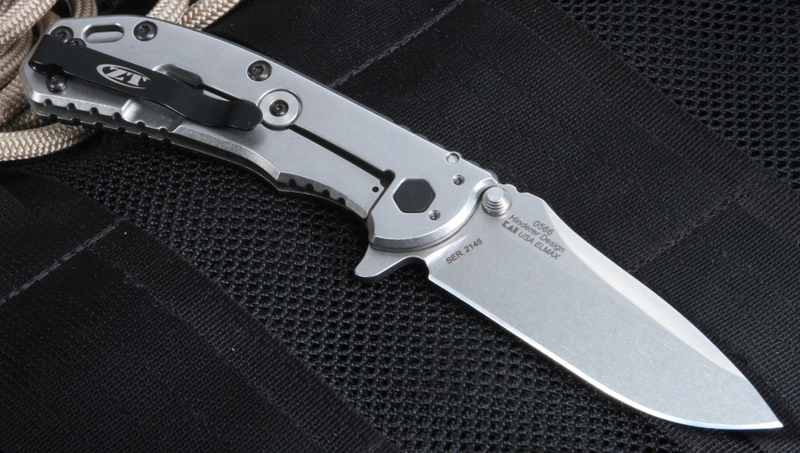 The ZT 0566 folder has a 3.25-inch plain edge blade made from highly corrosion resistant CPM S35VN powdered stainless steel with stonewash finish. Other benefits of using this type of steel for the blade include durability, wear resistance and reduced edge chipping. The S35VN steel provides you outstanding edge retention as well as the ease of sharpening, while the stonewash hides scratches and adds additional durability. It has a drop point blade with a flat grind, giving it superior cutting and piercing performance. The 0566 is a perfect knife for all the dirty jobs performed with an EDC. You will find that the handle, made of a black textured G-10 front and stainless steel back, provides the perfect balance between ergonomics, comfort and grip. It is 4.45 inches long and 0.44 inches thick, a compact size that is easy to carry and control. 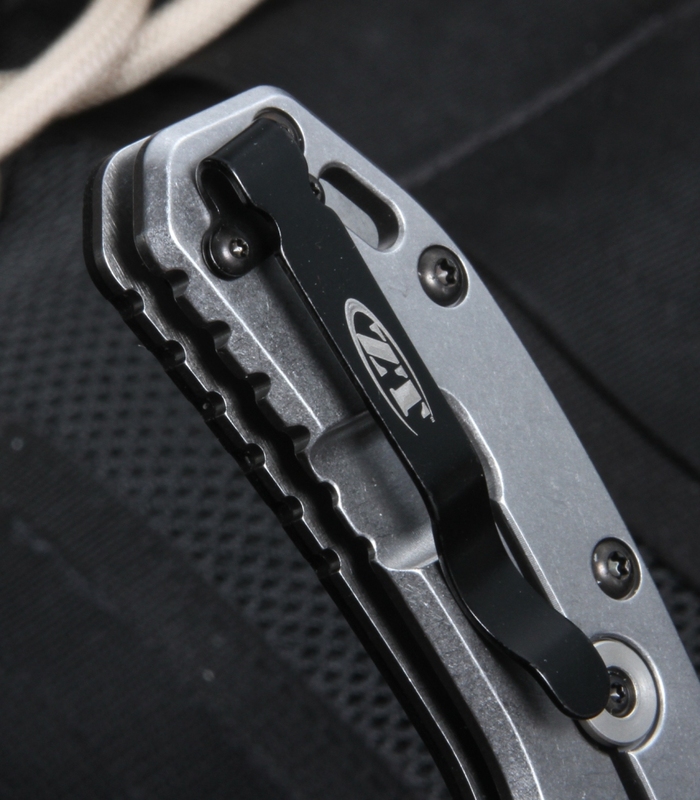 The 0566 has a deep carry pocket clip with Zero Tolerance's quad-mounting system. Users can position their knife in the tip-up or tip-down position on the right- or left-hand side, providing them with multiple carry options. The transition from the blade to the jimping is smooth and the rounded corners of the grip add to the ease and comfort of use. At an overall length of 7.7 inches and a weight of 5.3 ounces, you will be able to utilize this knife to accomplish many tasks. 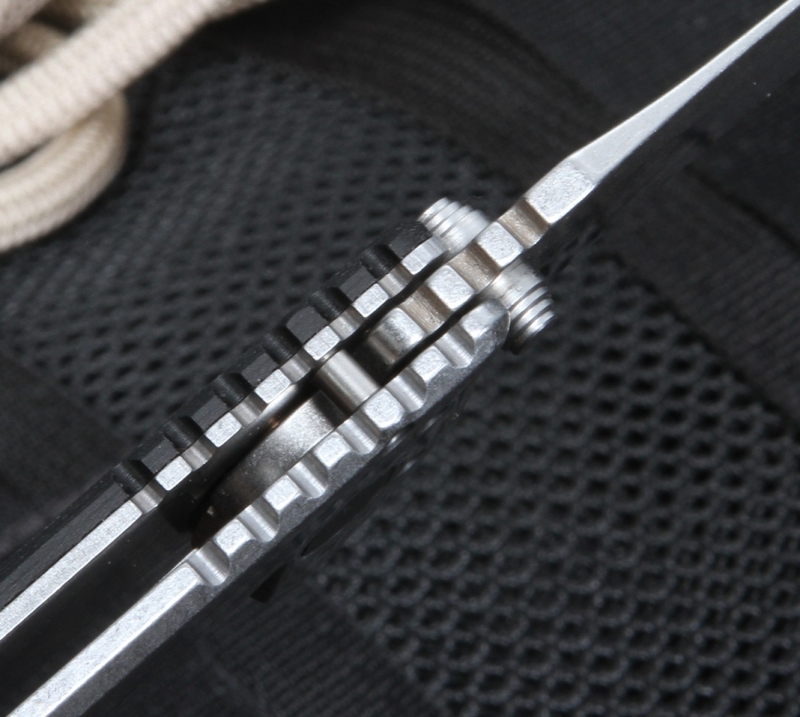 The Zero Tolerance 0566 knife handles well and deploying it from your pocket is made easy, smooth and fast with a superb spring assisted design, flipper and thumb stud opener. The flipper also serves as an integral index finger guard in the open position. A lock bar stabilizer is incorporated into the knife design which prevents overextending the lock bar. The 0566 has a lanyard hole in the handle to carry it around your neck, hang it on a wall or remove it quickly from a pocket. If you are looking for the perfect EDC that offers durability, reliability and comfort then this knife is for you. 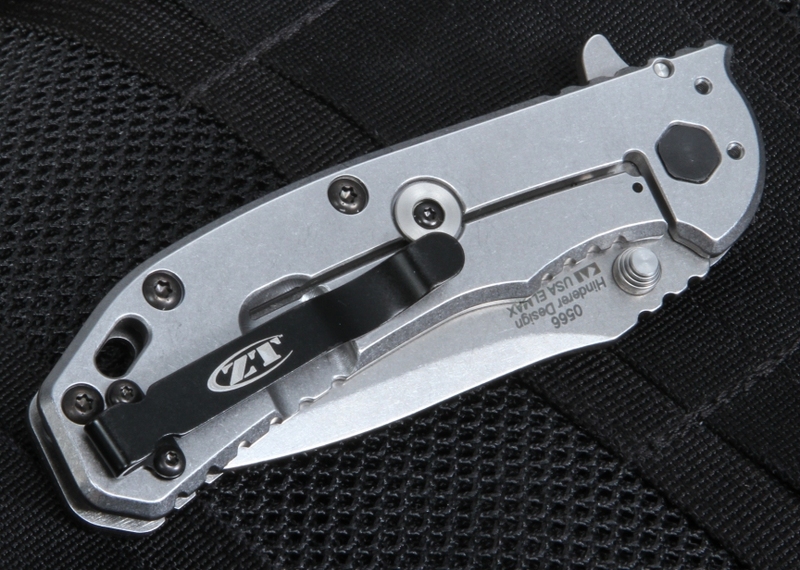 The Zero Tolerance 0566 is the perfectly sized quality compact knife for general or outdoor use. ZT Knives come with a limited lifetime warranty for the original owner and a satisfaction guarantee from KnifeArt. We offer same business day shipping for every in-stock item! This one is a nice thin pocket sized ZT with a superbly sharp nicely shaped reasonably sized blade. I find myself preferring it over others that I carry. It cuts well in both delicate and coarse situations. Not overly expensive, but better than many more expensive alternatives. I like it. I have been waiting for this knife since I first heard about it and I'm not disappointed. The 0560 is a bit big for me to pocket carry but the 0566 is just about perfect. Nice size, easy to carry and feels great in my hand. The assisted opening is done perfectly, not too fast and not too slow. It looks just beautiful and the fit and finish is top notch. Thanks to Knifeart for having it in stock and making it so easy to buy. The ordering process couldn't be easier and it shipped the next day. All in all a great experience.